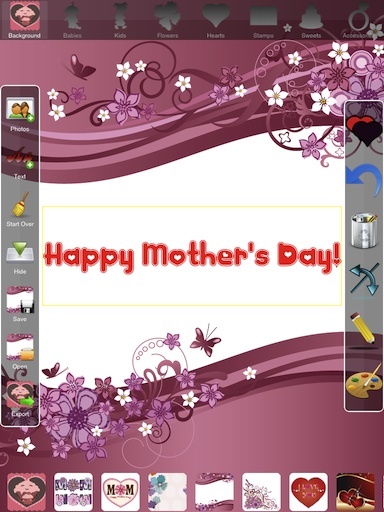 I did some research and found some nice e-card Apps for Mother’s Day. All the Apps are free and can be upgraded to the paid version for more features and options. 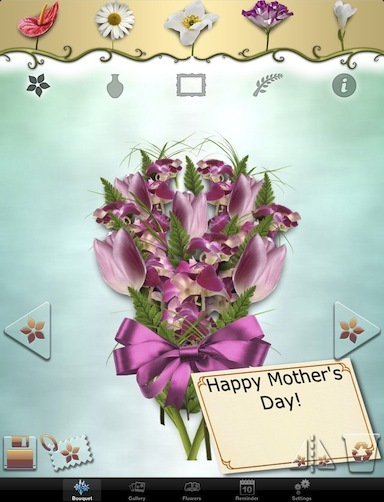 If you like this article, you may also like Gifts for Mother’s Day and 5 Free E-Card iPad Apps. Have a look at this post if you need to refresh how to download and install iPad Apps. Choose different types of vases and build a unique bouquet by selecting from an incredible variety of flowers. 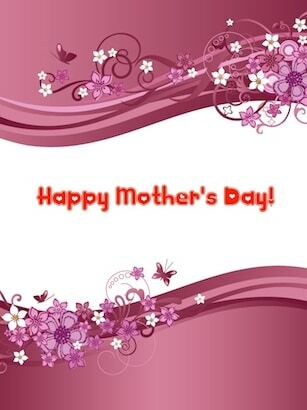 Add a background and a card with a message. All your bouquets are saved on a gallery. The bouquets can be shared on Facebook or Twitter and can be sent by email or saved to your Photo Album. I found this App to be very unique and creative. 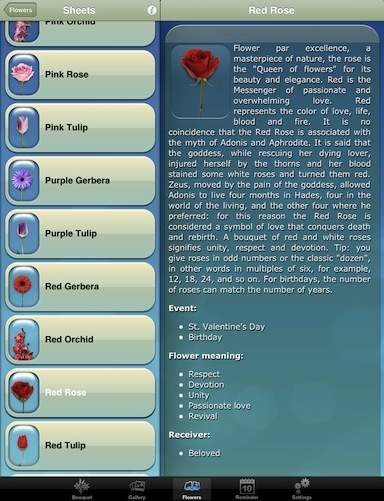 The App includes a flower sheet which explains the meaning of the different flowers and a category of events for which each one can be used. 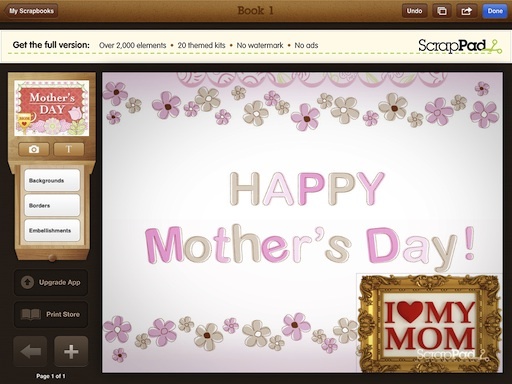 Build your own Mother’s day scrapbook with ScrapPad! Similar to the Valentines version, you can select backgrounds, insert pictures, add borders and embellishments. Your Scrapbook can contain several pages. Share it by e-mail or post it on FaceBook. You can print your Scrapbook through the Print Store and choose between different paid book sizes. This App lets you choose different backgrounds, insert images, insert pictures from your camera roll and add text to your card. When you are done creating your card, you can share it on Facebook or Twitter, send it by email or save it to your Photo Album.